Who doesn’t love a bit of BBQ food, right? 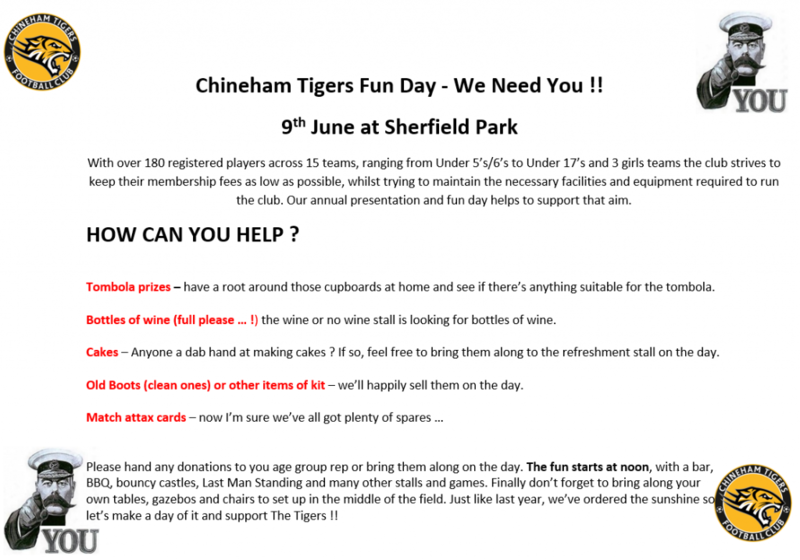 Tomorrow, leaders and Explorer Scouts from Phoenix Explorers will be helping to support a local community event being held by Chineham Tigers Football Club by providing the BBQ service. There’s loads to do as you will see from the flyer below. The weather forecast looks good and with money raised from the BBQ helping to support both Phoenix Explorers and Chineham Tigers Football Club so why not pop down and see us? We will be serving staple BBQ food of burgers and hot dogs but we also have supplies to cater for vegetarians and those with gluten intolerance. The fun starts at 12 p.m. on Saturday 9th June 2018 at the Sherfield Playing Fields behind Sherfield Community Centre. We look forward to seeing some of you there! This entry was posted in Events and tagged BBQ. Bookmark the permalink.